If you want to understand where the best real estate deals are in your market – and how to get them on your books quickly – then my free book is for you. In September of 2008, several major financial institutions collapsed, kicking off a major global recession. The collapses came – in large part – thanks to the loose lending practices of those banks. Particularly mortgage-backed loans. The banks lent money to people who never should have qualified – all in the name of greed. And they paid the price… But so did the average American. 9 million jobs were lost. Real Estate dropped by an average of 30% across the nation. It was a complete financial MELTDOWN. Suddenly even qualified buyers couldn’t get loans. It drove a lot of real estate deals underground. Not to sound morbid or callous, but… I’ve been waiting my whole career for this – making money in real estate in this kind of market is like shooting fish in a barrel – if you know how to find the deals. Understand. I’m not taking advantage of people, I’m helping them. I create win-win’s every day.Yes, the meltdown started in late 2008. And the situation hasn’t improved. The market – your market – is still flooded with underground deals. The Meltdown – and the resulting lack of available credit – has forced 4% of all real estate deals underground. So they never hit the MLS… you never hear about them from a Realtor… you never hear about them at all. But they’re out there. And when you find them…you can add properties to your portfolio incredibly cheaply. You can buy and hold for passive cash flow – or you can ‘flip’ these homes for fast cash. Ship My FREE Copy Now! Or any other real estate strategy you’re likely familiar with. All though any of those could be an exit strategy once you pick a property up at pennies on the dollar. This book is about tapping into that secret source of real estate deals in your marketplace – and a handful of strategies to pick them up, starting today. When you buy Meltdown Real Estate, it’s not just about buying real estate cheap. It’s about becoming the bank. So you don’t have to put up with leaky toilets or other typical real estate problems. 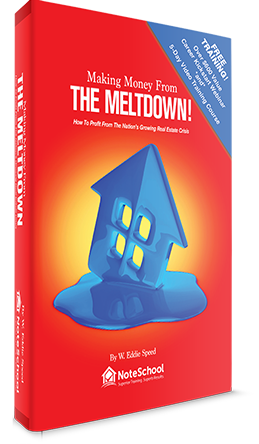 Investing in Meltdown Real Estate is the simplest way I know of to find great deals and begin making real money – without most of the hassle. It’s too much to explain to you here in this letter. But it’s important you understand these strategies… important you know how to invest in Meltdown Real Estate. I explain everything in detail inside my book Making Money from the Meltdown. And I’d like to ship you a copy – right to your door – for FREE. This is no Kindle book or e-book. It’s something you can hold in your hands…mark it up, and refer to it over and over again. I’ll shoot it to you in the mail. It’s completely updated… this is cutting-edge information that works today. In just a moment, I’ll tell you exactly how you can get your hands on this book. The hidden real estate market operating in your own backyard (once you know where to find these deals, making money from them is child’s play). Why Seller Financing has experienced a rebirth (and why it means far bigger profits than you get buying off the MLS or any bank-owned real estate). 4 significant profit centers in Meltdown Real Estate (#4 will surprise you – it’s a quick-cash spinoff business you can set up in a matter of days). Why REO’s (bank-owned real estate) is not the deal it used to be (and what kind of deals you need to look for instead). What the ‘Hardest Hit Fund’ is and how you can take advantage of these funds to help a family and profit handsomely at the same time). How YOU can get your hands on low-priced Freddie Mac, Fannie May, and FHA loans (HINT – knowing how to position yourself upfront is the key to being able to take over these for pennies on the dollar). A secret funnel of low-priced deals (correctly insert yourself into the ‘flow’ of these deals and you’ll first in line when they come down the pipe). 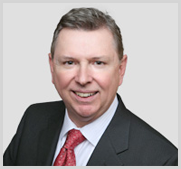 5 types of assets to look for in today’s market. 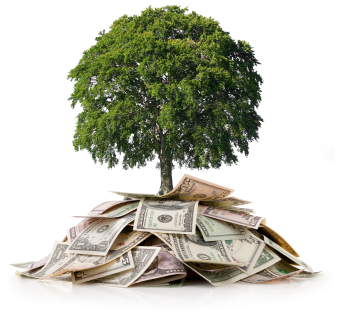 What Seller Financing is (and why it’s the ticket for far bigger profits in your real estate business). How your investing can help others going through tough times (and you’ll make a tidy profit too). How to build a real estate empire completely tax-free…or at the very least, tax-deferred…starting with only $100. Making Money from the Meltdown. But it shouldn’t be taken lightly. A lot of investors make the mistake of assuming because information is free, that it isn’t worth much. With Making Money from the Meltdown, that couldn’t be further from the truth. Inside, you’ll learn strategies that will completely revolutionize the way you do real estate deals…that allow you profits you likely haven’t seen in years. Investing in a high crime area. 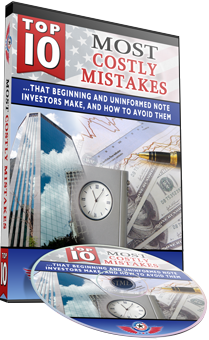 These mistakes are all things that haunt Meltdown Real Estate Investors… and inside this FREE DVD, we’ll show you how to easily avoid them. As you can see, there’s a ton of value inside the FREE Making Money from the Meltdown book – and even more when you add the FREE Top 10 Mistakes DVD. 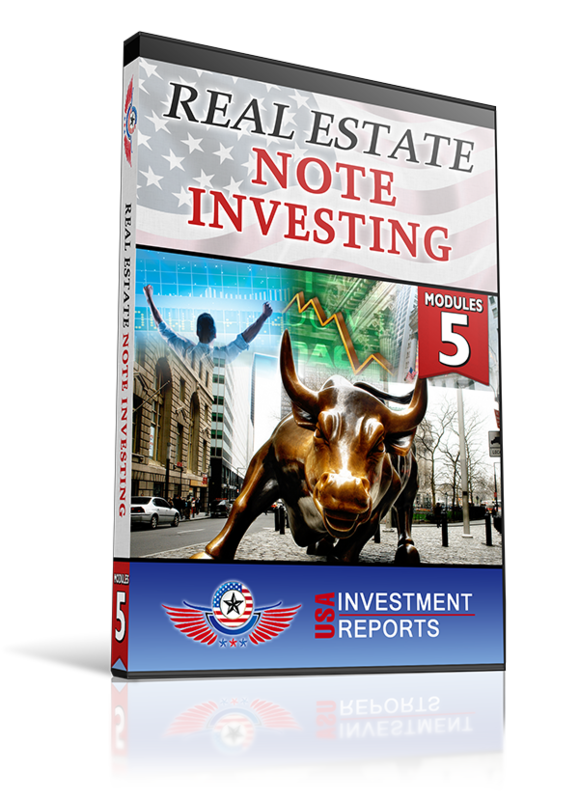 These mistakes are all things that haunt Meltdown Real Estate Investors… and inside this FREE DVD, we’ll show you how to easily avoid them. As you can see, there’s a ton of value inside the FREE Making Money from the Meltdown book – and even more when you add the FREE Top 10 Mistakes DVD. Why Would I offer this package for Free? I’ve been in this business for 30 years. I have massive network. I simply don’t need to make every cent I can… And so I want to send you this book and accompanying DVD package no charge. All I am asking is for you to cover the shipping and handling charges – just $9.76. For less than $10 in shipping, you could get your hands on this package…and use the information inside to make tens or hundreds of thousands of dollars in Meltdown Real Estate. Here’s what you need to do now… Simply click the button below – anytime of day or night – to get started. You’ll be asked to pay just $9.76 for shipping and handling. Once your order is complete, we’ll rush your copy of Making Money from the Meltdown book and The Top 10 Mistakes DVD right to your door. I’m excited to get this package in the mail for you today…so you can begin profiting from Meltdown Real Estate. P.S. 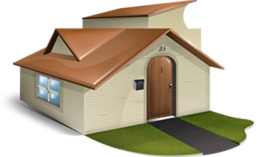 – These hidden real estate deals are no longer reserved for the big boys. They’re available to average investors – as many as you can get your hands on. Once you buy right, the rest is easy. Let me send you this FREE book and show you how easy it is to make money from the meltdown.